We offer a full-service Real Estate practice. We not only possess extensive knowledge of real estate law, but also have the expertise to move projects towards a successful conclusion as quickly and cost-effectively as possible. In today’s competitive, and often-regulated, real estate environment, it is imperative for clients to have legal representation that understands and explains how to achieve their land use and commercial goals, while insuring the preservation of the economics of their real estate projects. The Shafron Law Group regularly represents buyers, sellers, developers, landlords, tenants, lenders and borrowers. We work with our clients from initial planning and property acquisition through the various levels of governmental approvals, including the complex area of environmental regulation, to financing and the ultimate use, sale or lease of their property. Purchase and Sale Contracts: We analyze, negotiate, and prepare commercial real estate contracts for business expansion projects, building expansions, and development. Additionally, the firm represents buyers and sellers in commercial real estate purchases and sales, such as the sale of a business or commercial building. 1031 Transfers: We also have experience with and can help you with a tax-deferred exchange pursuant to I.R.C. §1031. Working with qualified intermediaries, we represent clients selling their first piece of property and purchasing their second property within the timelines set out by the internal revenue code. The result for the client is substantial tax deferment. 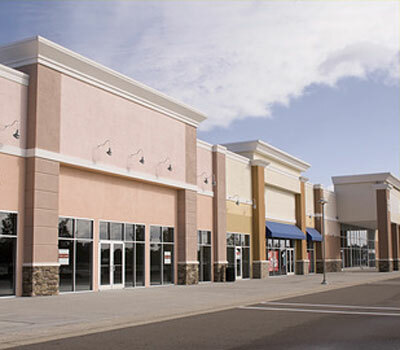 Commercial Leases: The Shafron Law Group represents landlords, tenants, and prospective tenants in commercial lease negotiation for shopping centers, ground leases, corporate leases and other commercial leases. The firm ensures clients‚Äô risks are addressed and makes sure that all necessary approvals are included within the lease agreement. Financing: We represents banks, private lenders, business owners, and other clients in financial matters such as obtaining loans for real estate acquisition, real estate development, small business start-ups, and other business operational financing. Litigation: We provide zealous advocacy of clients’ rights and interests in commercial litigation arising from breaches of commercial leases, purchase and sale contract disputes, and other commercial real estate litigation. Real Estate Development: The Shafron Law Group provides skilled representation to real estate developers, buyers, sellers and others involved in the real estate development process.